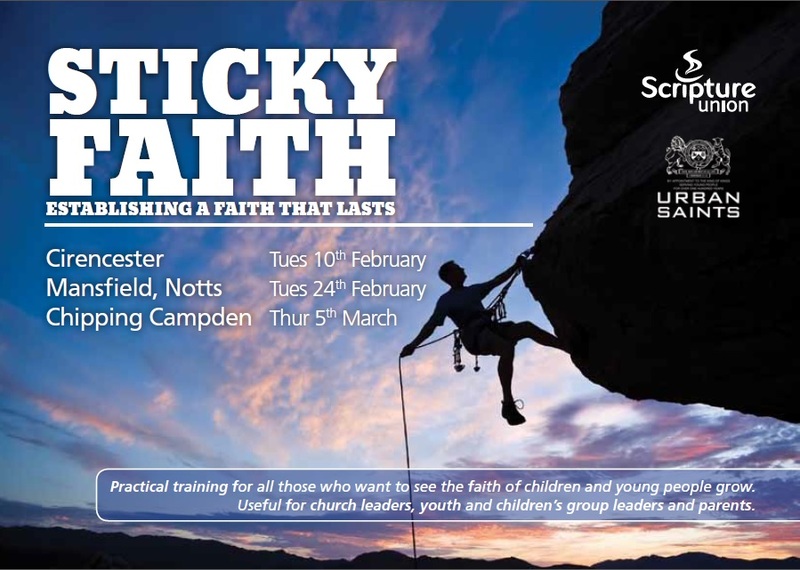 Sticky Faith: Helping kids and young people stay and grow in the faith. Training led by Scripture Union and Urban Saints. For parents & those working with kids & youth. 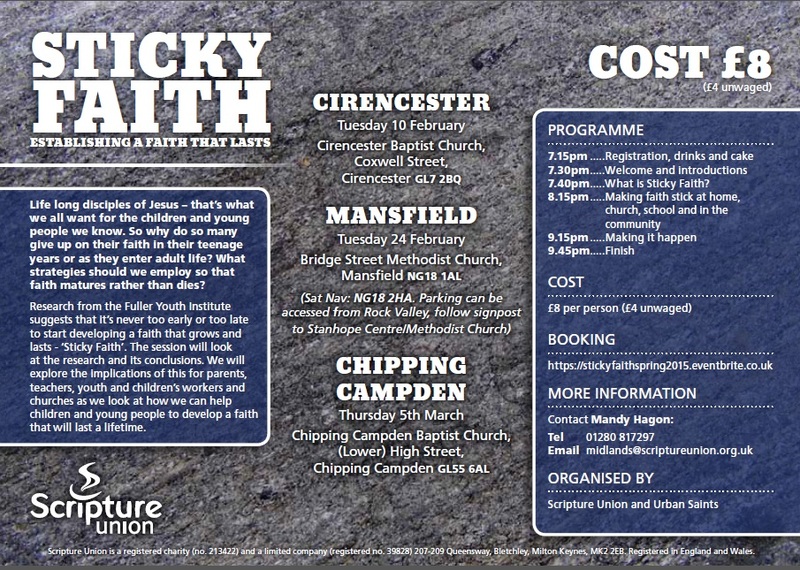 Tuesday 10th Feb 7pm at Cirencester Baptist Church. The event is free to those who are part of CBC.